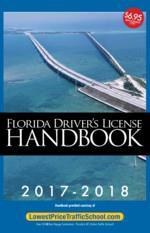 Prior to the 1998 school year, the Broward County School System’s drivers' education program included both classroom instruction and behind-the-wheel experience for attending students. In 1998, due to budget constraints, a phasing out of the behind-the-wheel component of the program began. Effectively, the drivers' education program’s “physical cars” were replaced with “virtual cars” in the form of computer-based driving simulators. By the year 2000, the drivers' education program had totally transitioned to a classroom/simulation-based program. With the support of the Dori Slosberg Driver Education Safety Act, the Broward County School System restructured its drivers' education program. The restructured program was piloted at Plantation High School during the summer of 2003. After evaluation and analysis of the pilot program, an expanded drivers' education program has been instituted at 15 high school locations within the Broward County School System. In order for the Drug & Alcohol Class to count, you must test while enrolled in the Driver's Ed Course. McKay Scholarship: Students on a McKay Scholarship should check with their scholarship coordinator before registering for Driver’s Education. This course may effect your scholarship. Duration: 9 Week Course Saturdays only during school year, Monday through Thursday during summer. Locations: 15 Broward County High Schools: Boyd Anderson, Coconut Creek, Coral Glades, Coral Springs, Cypress Bay, Deerfield Beach, Dillard, Everglades, Flanagan, McArthur, Northeast, Nova, Plantation, Taravella, and West Broward. Instruction Time: 60 Hours (18 hours driving and 18 hours class time, 24 hours project & testing time). Each class is 4 hours: 2 hours classroom and 2 hours driving. Students can miss one class. Instructors will give a take home assignment for the missed class. The assignment must be turned in for successful completion of the course. Register: Public & Charter School students must register through Virtual Counselor. Private School students register via email. Click here for more information. Description: All sessions are open to students of both public and non-public secondary schools. The program is also designed to meet the needs of students with varying exceptionalities and physical abilities. The program offers the DELAP program which includes the Restricted License Test and Drivers License Test for those who are eligible. Students will receive a certificate of completion at the end of the class. We also offer the Drug and Alcohol Class course within our curriculum. In order for the Drug & Alcohol Class to count, you must test while enrolled in the Driver's Ed Course.